The Patriarch’s Council met from 25-27 April 2017, at the Cathedral Church of the Intercessor, in Malverne, NY. 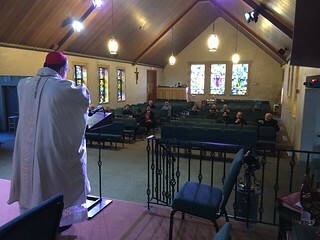 Reports on the State of the church: Reports on the current status of the International Church were presented, with a discussion of the future as well as reports from all other Territories. Primate Asia: Bishop Ricardo Alcaraz was affirmed by the Patriarchs Council and the Primates Council of the Philippines to be the next Primate of the Philippines. The Installation Service will be 4 Jan 2018, in the Philippines. 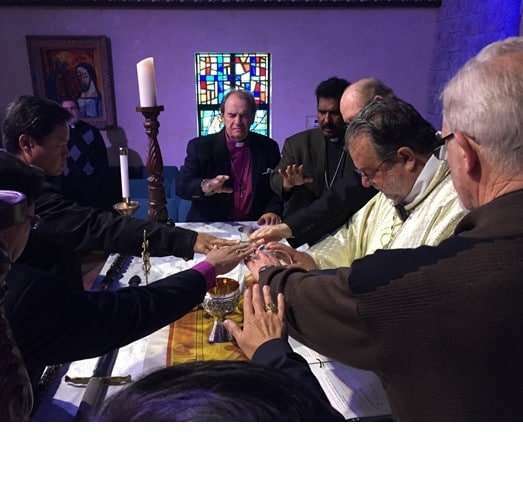 Europe: Bishop Elmer Belmonte recommended that the Asian Mission in Europe become a separate diocese. The Patriarch’s Council affirmed at Europe would become separate to better develop the diocese in the future. Bishop Belmonte will continue to sit with the Philippines Primates Council as a non-voting member and will sit on the Patriarch’s Council. Words: Bishop Bates spoke about the need to rely on faithful men, not able. We need to live lives of faithful men, we measure ourselves by our faithfulness, not a success as the world sees it. Fr Jim House spoke that we are to live a life without a safety net and that we have a multi-generational.